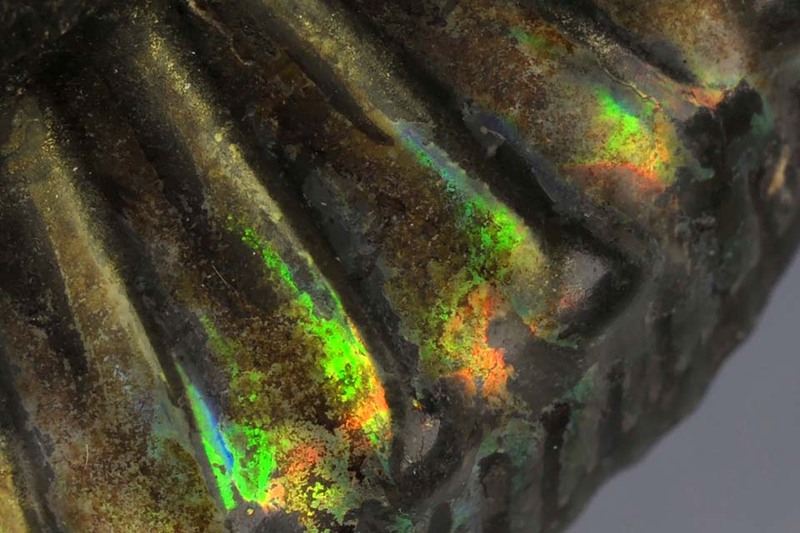 In some rare occasions, a little bit of the original shell of an ammonite is preserved and shows all the colors of the rainbow due to an effect called iridescence, thin film interference on the fine layers of shell material. On the Yorkshire Coast, this is very rare and mostly seen only on Dactylioceratidae, probably due to certain environmental conditions (e.g. shell structure, lack of oxygen, composition of sediment,…) during the time of fossilization in the upper toarcian that were not prevalent to that extent during any other timeframe. 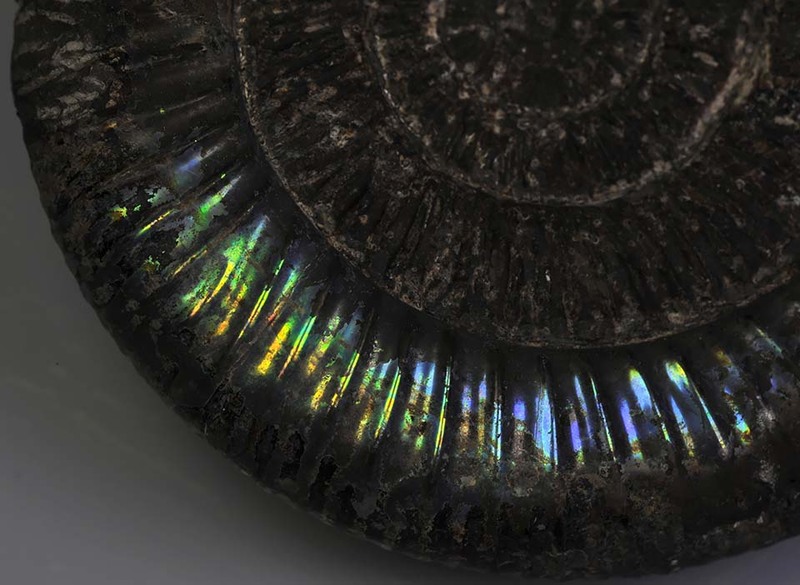 Of course, you have to lucky enough to find the ammonite, before the sea catches it – rolling around in the waves very quickly destroys the fine shell layers. The sensitive patches on this Dactylioceras commune that I found freshly fallen into a dry heap of cliff debris at Hawsker at low tide some years back would have been destroyed quickly if the tide had reached it 4 hours later – right time, right place – that mix of luck, experience, right choice of place and more luck that can make a collecting day successful.